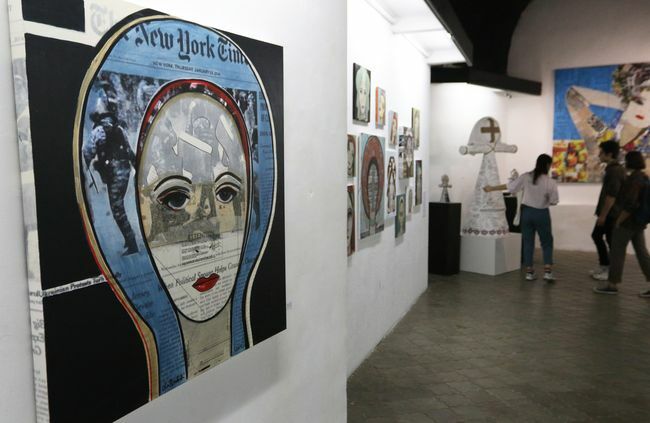 LVIV – Dzyha Gallery is hosting Ola Rondiak’s Identity, Interrupted exhibit. These pictures were made as the artist revised her inner identity under the impact from political events in Ukraine. Ola Rondiak was born to a Ukrainian emigre family in the United States and raised in a true ethnic Ukrainian spirit. She resettled in Ukraine shortly after the Soviet Union’s collapse. She says that, ironically, she sought a true Ukrainian identity in the land of her forefathers, but found none. Back in the 1990s, Russian was the language she heard most on the streets of Kyiv, and the traditions with which she’d grown were considered provincial. She had to re-examine the very notion of being Ukrainian and found her national identity interrupted. This basically prompted her to create a series of pictures currently on display. Among them are iconic images of Ukrainian women reminiscent of the Byzantine period. This art exhibit will close on August 19.